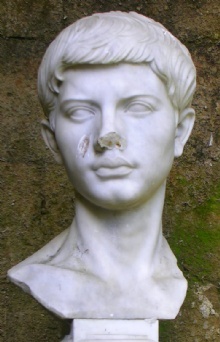 Virgil was a famous Writer from Rome, who lived between 70 BC and 19 BC. The Roman writer Publius Vergilius Maro or Vergil (in English generally known as Virgil) was born 15 October 70 BC in the Andes near Mantua in Gaul Cisalpina, equivalent to today's northern Italy. He died 21 September 19 BC in the port city of Brundisium (now Brindisi). He is one of the Latin literature's most important writers. Our collection contains 65 quotes who is written / told by Virgil, under the main topics: Sports, Love. "The descent to the infernal regions is easy enough, but to retrace one's steps, and reach the air above, there's the rub"
"They are able because they think they are able"
"Hug the shore; let others try the deep"
"It never troubles the wolf how many the sheep may be"
"In strife who inquires whether stratagem or courage was used?" "Persevere and preserve yourselves for better circumstances"
"The medicine increases the disease"
"Let not our proposal be disregarded on the score of our youth"
"I shudder when relating it"
"I fear the Greeks, even when they bring gifts"
"He like a rock in the sea unshaken stands his ground"
"We can't all do everything"
"If one swain scorns you, you will soon find another"
"Want of pluck shows want of blood"
"Trust one who has tried"
"Trust not too much to appearances"
"To have died once is enough"
"Time is flying never to return"
"Time flies never to be recalled"
"They succeed, because they think they can"
"They can conquer who believe they can"
"Perhaps the day may come when we shall remember these sufferings with joy"
"Perhaps even these things, one day, will be pleasing to remember"
"Passion and strife bow down the mind"
"One man excels in eloquence, another in arms"
"O accursed hunger of gold, to what dost thou not compel human hearts!" "None but himself can be his parallel"
"Myself acquainted with misfortune, I learn to help the unfortunate"
"Love begets love, love knows no rules, this is same for all"
"He enters the port with a full sail"
"Happy the man who has been able to learn the causes of things"
"Happy is he who can trace effects to their causes"
"From my example learn to be just, and not to despise the gods"
"Fortune sides with him who dares"
"Fear is proof of a degenerate mind"
"Fate will find a way"
"Every man makes a god of his own desire"
"Every calamity is to be overcome by endurance"
"Even virtue is fairer when it appears in a beautiful person"
"Endure the present, and watch for better things"
"Each of us bears his own Hell"
"Do not yield to misfortunes, but advance more boldly to meet them, as your fortune permits you"
"Consider what each soil will bear, and what each refuses"
"Confidence cannot find a place wherein to rest in safety"
"Come what may, all bad fortune is to be conquered by endurance"
"Cease to think that the decrees of the gods can be changed by prayers"
"But meanwhile time flies; it flies never to be regained"
"Better times perhaps await us who are now wretched"
"As the twig is bent the tree inclines"
"All things deteriorate in time"
"All our sweetest hours fly fastest"
"Age steals away all things, even the mind"
"Age carries all things away, even the mind"
"A fault is fostered by concealment"